Digital marketing is a broad phrase for marketing to meet the market demand by applying digital technologies, predominantly on the Internet, Which including mobile phones, display ad, and any other digital channel. Emerging Digital Marketing Trends that all organization should contemplate. A marketer forecast the future opportunities from different angles by reviewing and understanding ‘What’s New?’, ‘What’s Hot?’ and ‘What’s Next?’ and also by estimating latest innovation and trends to strategies the plan. Understanding latest innovation and trends are the most significant component of marketing strategy. For eg: Digital Transformation and Marketing Integration Trends in 2016, Marketing Technology Innovation in 2015, Digital Marketing Tactics in 2014. Now Let’s see the 5 types of trends marketers and businesses needs to consider in 2018. Marketing plans and Campaigns need to devise and formulate only by understanding customer changing wants, needs, demands, and characteristics. b) Applying Artificial Intelligence to engage and service customer -for applications like chatbots and predictive analytics. The explosion of Digital Technology has changed the marketing as today’s consumers are mostly connected with smartphones, laptops, iPods even watches and glasses to access the Information. As a result, a Marketer needs to devise the strategies and plan in such a way that it goes handily with digital technology. We are fortunate to many free and low-cost tool which information about customer, competition, and Market. They also help us to integrate our Marketing strategies to across desktop, mobile and traditional Marketing. b) Growth in Customer data platforms and predictive analysis. There are many marketing techniques available for Integrated planning which includes always-on + campaigns, content marketing, multi-channel analytics, E-mail marketing-marketing automation, social media marketing, paid search: AdWords, Seo: organic search. a) Mobile Marketing and Cross device optimization. 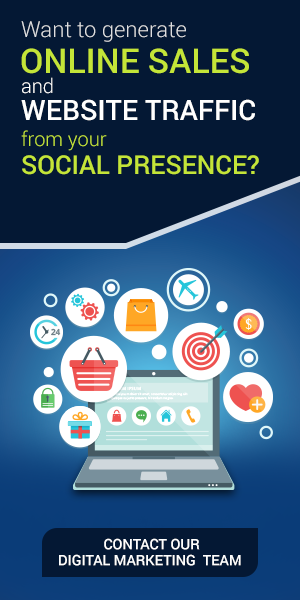 Consumers search through Google or Bing; use Facebook for socializing and messaging; business communications through LinkedIn and use digital devices via Android or iOS. Since these top-order platforms are looking to grow their audience, frequent updation in digital marketing services today are on these top-order platforms and other key platforms like Instagram, What’s App, Pinterest, Snapchat, and Twitter. Cross-Device Identification: Single user with multiple devices. The final trend category for marketers and entrepreneurs to be aware of Marketing Management. Digital Transformation and Change Management: The main ongoing trend is Digital Transformation which is the collaboration of digital marketing strategies and technologies into comprehensive marketing and business activities to design a ‘digital business’. LifeCycle Marketing Optimization: With the advent o Lifecycle marketing it’s become common for creating a contact strategy and keep engaged with audiences through email, personalization, social media and traditional channels through an entire lifecycle of all contacts and contacts.